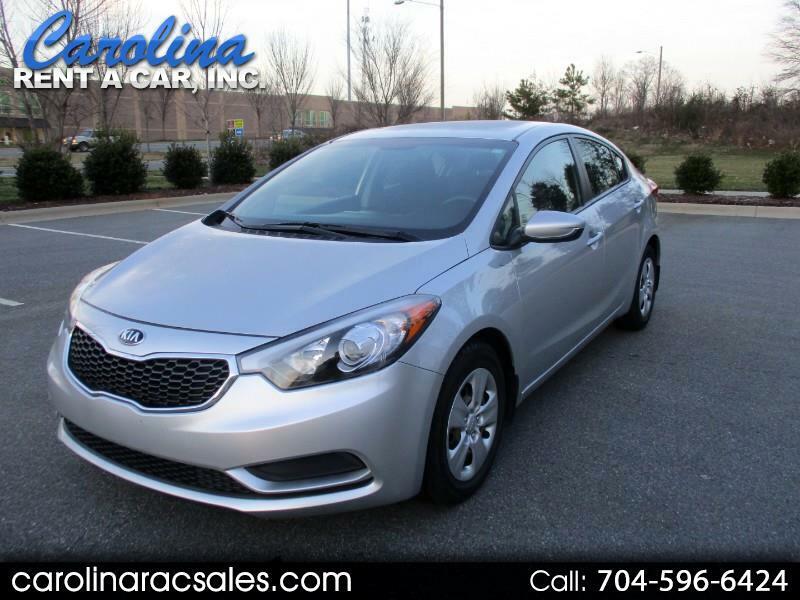 Used 2016 Kia Forte LX w/Popular Package for Sale in Charlotte NC 28213 Carolina Rent A Car, Inc.
Nice Forte LX located in Charlotte, NC. We have all service records since 3,483 miles. Vehicle has lots of equipment: power windows, power locks, cruise control, tilt steering wheel, hands free phone, remote keyless entry, steering wheel controls, am/fm cd player, aux input and much more. Contact John at 704-596-6424 to schedule a time to see this vehicle. Kia Factory Warranty applies 5 years/ 60,000 miles on Power Train. Extended Service Contracts available.